No great trade has an obscurer history than the book trade. It seems to lie choked in mountains of dust which it would be suicidal to disturb. Men have lived from time to time of literary skill—Dr. Johnson was one of them—who had knowledge, extensive and peculiar of the traditions and practices of 'the trade' as it is proudly styled by its votaries; but nobody has ever thought it worth his while to make record of his knowledge, which accordingly perished with him, and now is irrecoverably lost. I have a high regard for Augustine Birrell, politician, barrister, and author. And I have many of the books he wrote, and some of the books he owned. But his viewpoint concerning the history of the book trade surprised me. I was under the impression that more than a few bookmen shared their knowledge of "the trade" before his book, In the Name of the Bodleian, was published in 1905 — and even before Birrell's essay on old booksellers first appeared in the March 29, 1890 issue of The Speaker. Dr. Johnson himself shared his knowledge of the book trade in his March 12, 1776 letter to the Rev. Dr. Weatherell. My reason for offering this work is that no one else has attempted to write an adequate history of English bookselling and publishing. Indeed, there are only a few biographies of booksellers or publishers listed in the 1896 edition of Sonnenschein's The Best Books: A Reader's Guide. 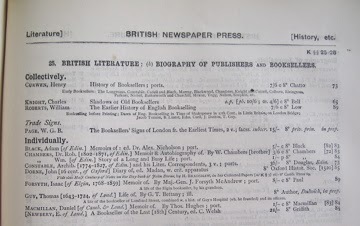 For the purposes of this blog post, I consider the book trade to include stationers, chapmen, booksellers, printers, publishers, and auctioneers. The Oxford English Dictionary tells us that the term, bokeseller, was first used in print in 1527. Prior to that, a vendor of books was known as either a stationer (stationarii in Europe) or an itinerant tradesman. A stationer was basically a contractor who hired scribes, illuminators, bookbinders, and other book artisans to produce the manuscripts and books he wanted to sell. 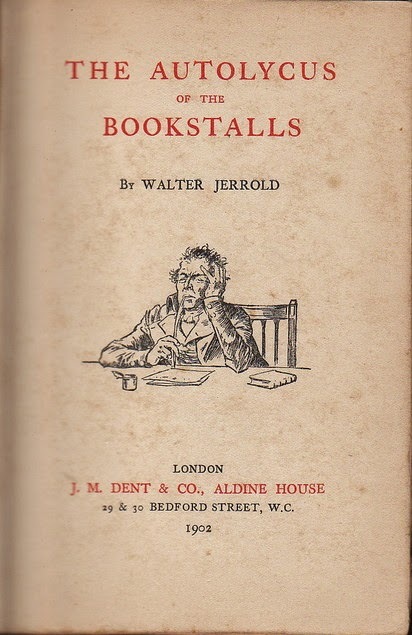 In England, a stationer was usually located in a small shop near a university, while an itinerant tradesman wandered about the countryside selling his books and other wares. I touched upon the itinerant tradesman, also known as a chapman, in my blog post about Chapbooks last December. The book pictured above contains an alphabetical directory of stationers and book artisans of the early book trade in London from 1300 to 1500. The author, C. Paul Christianson, notes that some of the stationers wore more than one hat, being either bookbinders, limners or textwriters as well. An updated version of E. Gordon Duff's 1917 bibliography of the works printed by William Caxton, Wynkyn De Worde, Richard Pynson, and more. With "Supplementary Descriptions, Chronologies, and a Census of Copies." As a member of The Bibliographical Society, I received a copy of this book as part of my subscription. George Parker Winship knew quite a bit about William Caxton and his works, gaining his knowledge from several scholars. Francis Jenkinson, Cambridge University Librarian, introduced Winship to Caxton's Bruges. Gordon Duff guided him through the Althorp Caxtons at the Bodleian. Seymour De Ricci told him about the provenance history of Caxton works. And Alfred Pollard lightly edited Winship's January 1908 paper on William Caxton that Winship read at a meeting of The Club of Odd Volumes. Pollard then sent it to Cobden-Sanderson to be printed for The Club of Odd Volumes. That paper is printed in its entirety in this book, along with a thirty-three page Letter to The Book Arts Club of the University of California, dated March 1937, which provided additional information about Caxton and his works. Caxton Scholarship at its best! Valentine Simmes was the printer to Drayton, Shakespeare, Chapman, Greene, Dekker, Jonson, Marlowe, and other Elizabethans. The book contains descriptions and illustrations of Simmes's type fonts, ornaments, and watermarks. In her book, Margaret Spufford gives us other names for chapbooks: Small Godly Books, Small Merry Books, Double Books, and Histories. She tells us about the distribution and sale of these books, and even their contents. Included in the book is a chapter on Samuel Pepys's Collection of Chapbooks. In the 1890s, Adolf Growoll, Managing Editor of The Publishers' Weekly, was writing a book on book trade bibliography; but he soon realized he had too much material for one book. So he wrote two of them, one on English book trade bibliography and one on American book trade bibliography. I have the 1968 Holland Press reprint of Growell's extensive essay on English book trade bibliography, first published in 1903. Highlights of Growoll's essay include the first English catalogue, which was issued by Maunsell in 1595, and the Term Catalogues, which were issued by Starkey and Clavel from 1668 to 1709. The book also contains "A List of the Catalogues Published for the Use of the English Booktrade 1595-1902," compiled by Wilberforce Eames. 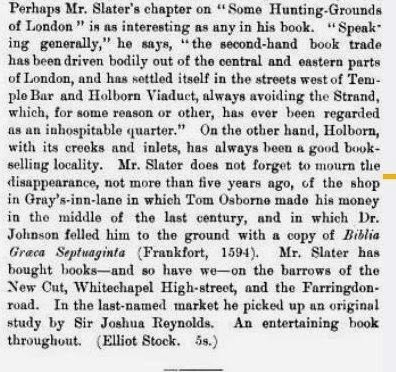 Many of the booksellers of Johnson's time were publishers too, and probably sold more new books than old ones: Millar, Davies, Lintot, Dodsley, Nichols, and Cave, to name a few. But the first bookseller listed in the book, Samuel Johnson's father, Michael Johnson (1656-1731), didn't publish much. Marston says he may have published two books. Michael Johnson had his own bookshop, and sold many of his books at village auctions. The books in Samuel Johnson's Undergraduate Library most likely came from his father's bookshop, and offer an interesting glimpse of the stock, several books of which were published in the 1500s. Aleyn Lyell Reade included a list of the books in Johnson's Undergraduate Library in Appendix K of Johnsonian Gleanings, Part V, first published in London in 1928 and reprinted in New York by Octagon Books in 1968. With Reade's Appendix K as a guide, I catalogued Johnson's Undergraduate Library on Library Thing in 2010. 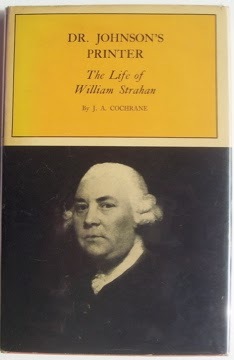 William Strahan (1715-1785) was not only Johnson's printer. He was the King's printer, and the printer for Adam Smith, Edward Gibbon, and David Hume. And in the 1760s, he was Benjamin Franklin's printer. James Lackington (1746-1816) should be known as "the father of the remainders." It had long been the practice in the book trade to keep a small portion of remainders, sell them at full price, and destroy the rest. Instead, Lackington began buying up the remainders and selling them at reduced prices. In his memoirs, he boasted of selling more than one hundred thousand volumes annually. Lackington's memoirs were quite popular, having gone through ten editions between 1791 and 1795. I have a later edition dated 1830. An excellent study of how publishers worked with authors to get books published during the period 1780-1832. A festschrift of historical essays in honor of Ruth Myers, half on the book trade, and the other half on its customers. 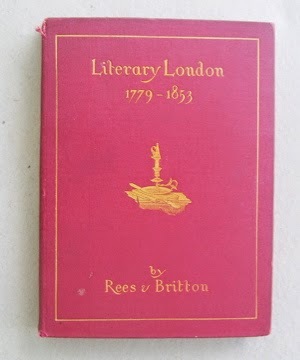 The Dublin book trade was a strong competitor of the English book trade, publishing cheaper pirate editions of popular works, sometimes within weeks of the publication of the London editions. I post the Table of Contents just to show you what Roberts covers in his book. 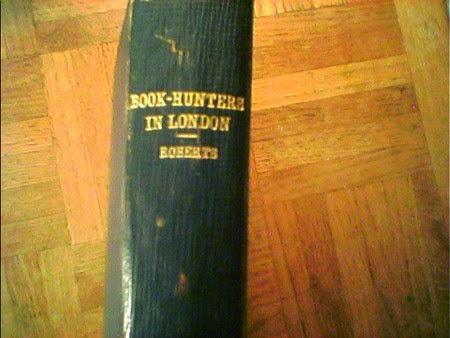 I particularly like his chapters on book auctions and book-hunting localities (1890s). You'll find the illustration, "A Field Day at Sotheby's" showing the booksellers of the day in Robert's book. 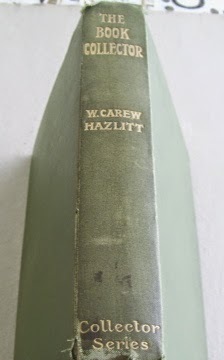 You'll also find it as the frontispiece to W. Carew Hazlitt's book, The Book Collector. Here's Hazlitt's viewpoint of "the trade." 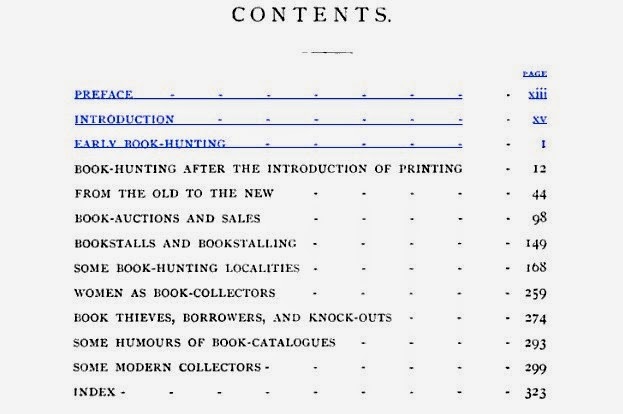 The chapter, "Some Hunting-Grounds of London," gives a glimpse of the secondhand book trade in London before and during this period. The 17 Nov 1898 issue of The Academy provides an excellent review of this chapter. 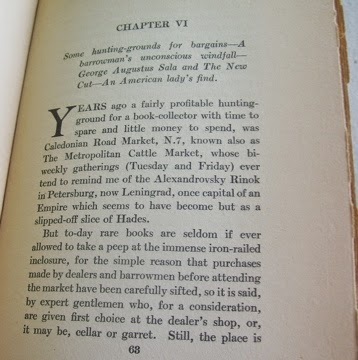 One chapter on hunting grounds for bargains (1920s). Excellent for researching names and addresses of old booksellers. First published in the late 1880s and lasting until at least the early 1940s. A directory of secondhand and antiquarian book dealers in the British Isles in the 1950s. 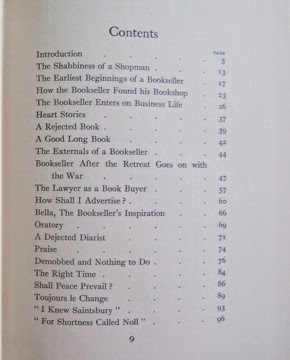 Lists the specialties of the booksellers. 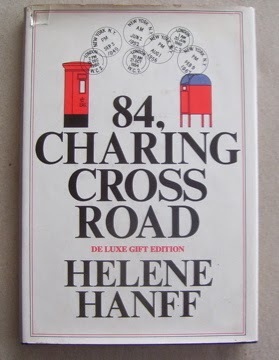 The third edition of this book was published in 1987. I wish I had a copy of this book when I was stationed at RAF Mildenhall, about 75 miles north of London in the late 1980s. I browsed and bought at more than a few of them. But there are some I wasn't aware of. 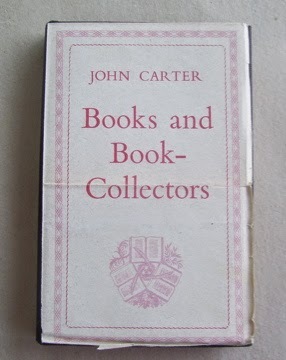 Faith Legg, Proprietor of the Guildhall Bookroom in Eye, was a mentor to this newbie book collector, and kept me supplied with the PBFA list of booksellers each year I was stationed in England. Almost every weekend, my wife and I would roam the countryside, visiting the bookstores listed in this catalogue. I found this book in a local thrift store here in Florida. And it found a perfect way to say "buy me." When I took this book off the shelf, it opened to the page where the ribbon marker was: BOOKSELLERS: Antique and Rare. A memoir of Robert Chambers with "autobiographic reminiscences" of William Chambers. Both were booksellers first, with Robert turning to writing, and William turning to printing, editing and publishing. This commemorative catalogue contains an enlightening portrait study of Bernard Quaritch (1819-1899) by his daughter Charlotte Quaritch Wrentmore. A feel-good story about two brothers who started selling text books from their home, and then built a book business. A lot of familiar names fill the list of Spencer's customers at 27 New Oxford Street: Frederick Locker-Lampson, Augustine Birrell, Austin Dobson, Kermit Roosevelt, Oscar Wilde, Sir Richard Burton, Aubrey Beardsley, and Andrew Lang, to name a few. An excellent read! The next book needs no introduction. Straight from the horse's mouth! Words about the book trade from the book trade! Interviews of 50 booksellers in the first book, and 31 booksellers in the second book. Curwen's title is deceiving. To me, these booksellers are better known as publishers: Tonson, Longman, Constable, Cadell, Black, Murray, Blackwood, Chambers, Knight, Rivington, Nisbet, Moxon. Thomas Rees and John Britton reminiscence about the booksellers, publishers and authors they met. They divide Literary London into three sections: Paternoster Row, Fleet Street, and the Strand. And they recount anecdotes about some of the great names in the book trade: The Rivingtons, The Longmans, Alexander Chalmers, Thomas Hurst, H. G, Bohn, John Murray, William Pickering, and Thomas Caddell to name a few. The first words in the Forward of this book are "Fleet Street is all Newspapers." But before there were newspaper journalists, there were printers and booksellers. A hundred years later the history of bookselling and publishing, for long directly related activities, remains neglected. Scholarly yet readable essays about publishing abound in this book. A case study of Disraeli's Endymion provides an insight into the world of publishing. Essays include the publishing of Shakespeare, children's books, sports books, and paperback books. There is even an essay titled "Beyond the Book," which explores the impact of cinema, radio, and television on the book industry. 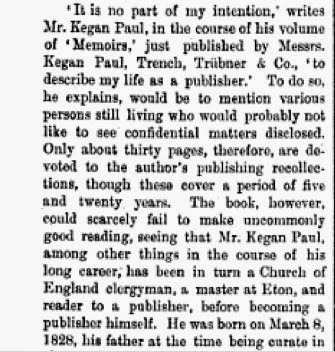 The age of the bookselling publisher, in which his father had advanced so stalwartly, had almost come to an end. But the house of Murray would endure. Endure, it did. In my own library, I have nine lists of books published by the House of Murray from 1836 to 1897. Here are some images of a few publishing houses where a publisher was nothing but a publisher. And finally, here's a book about a distant relative of a young American journalist who didn't fare too well in the English book trade. This book was not written by a young American journalist. Nor was it written by an English bookseller. It was written by the Scottish politician and author, Sir William Young Darling (1885-1962). But it sure reads like it was written by a bookseller! I like the place. It is a bookshop. It has shelves with books on them—two counters facing each other—two windows to the street—a door in the centre—steps up—these are proper—one rises in the world when one enters a bookshop—and a good back shop behind. Where would I have done better? Where would this lost dog have gone? I was right to come here. This is my trade. This is my calling—keeping a bookshop. The only fly in the ointment is that I keep the shop and keep the books. I can only keep the shop by selling the books. I will not be a book keeper. That is a poor business. I will—I must—be a book seller. Well, that was great fun! For some reason I kept expecting to find Newton's Amenities of Book Collecting — don't know why I did. I'll see if I can mention A. Edward Newton when I do my blog post on my books about the American book trade.